After months of denial, the European policy elite finally begins to understand that something is seriously wrong in the eurozone. But the prevailing definition of the problem is still too narrow – the consensus in France and, even more, in Germany is that “this is a Greek problem”. Even the most negative still think that Portugal and Spain can easily escape serious damage. This is a major misconception, as we pointed out last week – and as we have been emphasizing, to anyone who would listen, for more than a year. If you want to call for a “rescheduling” of Greece’s debts – a position that is becoming increasingly popular among leading north European intellectuals – that is fine. But you also need to recognize that the policy elite (central banks and ministries of finance) are completely unprepared to handle the consequences, which would be immediate and devastating for other weaker eurozone countries. You simply cannot do a low-cost or small unilateral restructuring of government debt in this kind of situation; the market will at once take that as a signal that Portugal, Spain, Italy and perhaps even Ireland will face difficulties (in fact, this is exactly what spreads in the 2-year European government bond market are saying today). The French may smile upon such outcomes with a feeling of superiority, but they might also consider not throwing bricks in glass houses. It is fine – even appropriate – to emphasize that big European banks have aided and abetted the irresponsible behavior of eurozone authorities. The profound stupidity of these banks-as-organizations is beyond belief, and it is deeply puzzling quite why leading figures in the US Senate would see them as a model for anything other than what we need to euthanize as soon as possible in the global financial system. But do not fall into the trap of thinking just because “megabanks are bad” (undoubtedly true) that you can whack them with losses and not face the consequences – these people are powerful for a reason; they hold a knife to our throats. For all his hubris, missteps, and over-reliance on Goldman group think, Hank Paulson had a point in September 2008: If the choice is chaotic global collapse or unsavory financial rescue, which are you going to choose? There is also the absurdity of having a fiat currency backed not by a nation but by a federation that is incapable of making or enforcing hard decisions. I think the market is waking up to that reality. The process of de-euroization will be very interesting to watch. If the EU did not work because of “group think/special interests” of European elites, why would the “group think/special interests” of the G20 be better? [T]he programme prevents an immediate shock to fragile financial systems: it is overtly a rescue of Greece, but covertly a bail-out of banks. But it is far from clear that it will help other members now in the firing line. … Other eurozone members might well end up on their own. None is in as bad a condition as Greece … But several have unsustainable fiscal deficits and rapidly rising debt ratios. Wolf is not optimistic and has “huge doubts”. If you are a country like the US, the UK, or Japan that can monetize its fiscal deficits, then you won’t have a sovereign debt event but high inflation that erodes the value of public debt. Inflation is therefore basically a capital transfer from creditors and savers to borrowers and dissavers, essentially from the private sector to the government. Couldn’t the EU prevent de-euroization by denying EMU members the right to issue their own debt? Couldn’t the EU coerce them into channelling their deficit spending through the ECB? Greece and other weaker Euro states have issued debt that they can’t service – so force them to get their money from Frankfurt. As Krugman noted a couple days ago, Greece is running a PRIMARY deficit of 8+% of GDP. That means that even if they repudiated all debt, they would still need to borrow. And unless their domestic citizens can finance that debt (8+% is a lot – perhaps 2 or 3%?) then they’ll need to borrow from abroad. And that’s bad, since no one wants to lend. Meanwhile the Fed and the ECB are now in a pi33ing match. During the run/carry trade on the dollar last year (after Bernanke & Co engaged some limited amount of QE – over the doom threats of every Austrian/gold fanatic in teh country), the US endured a run on the dollar while the ECB lectured the US, and made a naked grab for Euro status as world reserve currency (with all the “benefits” thereof). The ECB, enamoured of its <2% inflation target even when REAL rates are high due to price deflation and demand implosion, watched the Euro climb to 1.50/dollar even as the German Business Federation (rightly) screamed about the threat to lost exports. Trichet was happy, however – he got his "price stability"! Sanctimoniously, he watched his "price stability" send the entirety of southern Europe into a recessionary tailspin. Trichet was willing to sacrifice the south of Europe to preserve the value of the Euro. Except – OOPS! – that darn J-curve again. It looks like EXPORTS AND IMPORTS DO MATTER (even though the nominal value of trade is much less than the notional value of all the derivatives and securities built around real trade)!!!! Now the southern economies are not pulling out of the recession, which is now dragging the entire world economy. AND, seeing this, the capital markets are responding by questioning southern Europe's long term ability to pay future debt (since their national incomes are plummeting due to a combination of transfer payments and economic stagnation due to an overvalued currency and high real interest rates). The perceived risk of future default has caused a feedback into the credit system, raising real rates even higher (the CDS market shows the risk premium explosion), and now Greece is truly fubared. And why should Bernanke help now? First, this is his opportunity to stand up Trichet (that SOB who tried to kill the dollar). And second, this is his opportunity to kill the EURO. Goldman is shorting the sh!t out of the EUR/DOL pair (and PUBLICLY stating this). How _convenient_ for Bernanke, especially since Goldman can leverage using the US domestic capital markets to sustain its derivative-fueled attacks on the Euro. But All-in-All, maybe it's a good thing that the Dollar is finally going to kill the Euro, since it's abundantly clear the ECB is incompetent and not inclined to cooperate internationally to alleviate any sort of funding crisis (as we saw in 2008-2009). Other than the folks who created the Euro in the first places, the ECB _totally_ owns this catastrophe in southern Europe. Incompetence peppered with delusion and denial. Wait for it…..wait for it…. If that really is the choice, which is something constantly asserted but never proven, I’d choose freedom even at the cost of temporary economic difficulty. The knife-at-the-throat analogy isn’t quite right. It’s more like a thug wired my house with explosives and is threatening to press a button to detonate them if I shoot him with the gun I hold in my hand. He’s demanding I hand over the gun, be his slave from then on, and live in the wired house which could spontaneously explode at any time, and is guaranteed to in the near future anyway. I would shoot him and take the hit to my house. Then I could rebuild as a free man, however hard the work, and live in freedom ever after. one cannot allow the re-establishment of an entitled aristocracy extracting rents with no productive labour because of the fear they spread. I believe you americans already fought that revolution once and the world was better for it. That recipe would certainly make for a blockbuster disaster movie! You have an opportunity to write yourself into this flick, based on your ability to stay solvent longer than the markets can stay irrational. According to Finance Minister Wolfgang Schäuble, the German banks want to make a significant contribution for overcoming the crisis in Greece. But the level of commitment was not quantified by Josef Ackermann, head of Deutsche Bank. Instead he talks about a “gentlemen’s agreement”. Do the banks take money in hand to help Greece? No. Are there any commitments? No. The banks want to purchase the bonds issued by the state bank KfW, which is in charge for funding the German contribution to the „Loan and Austerity Package“ of EU and IWF for Greece. The banks will use these bonds as collateral for the repo deals with the ECB. The Banks can receive money from the ECB for virtually zero conditions. The borrowed money are going to be invested by the banks either in government bonds, which yield around 3% (i.e. easy profits) or in derivatives on the Over-the-counter market (beyond the real economy) for continuing speculations. Or the banks could bet this time with credit default swaps for the sinking of Portugal and/or Spain. The whole thing is a baloney. A dishonest PR-campaign by the banks. “The idea that I’ve struggled with is how do we deal with all of the sovereign debt we’ve created to bail out the global economy. There has to be a reckoning at some point. We’ve been essentially trying to dodge the reality associated with 40 years of personal, private and governmental debt accumulation. When the markets crashed we transferred private debt to the public to keep the music playing but something has to give somewhere. We can’t just keep accumulating debt forever without some kind of consequence. Either we start paying it off and at best we do this without a crash but endure 20 years of a mediocre economy as we siphon large sums of cash from the economy to pay off debt or we let the debt go bad – which in some respects it is already – and endure a nasty crash with 25% unemployment, sort through the mess and begin growing again 5 years. It seems unlikely we’ll avoid the crash but perhaps world leaders will cooperate enough to avoid that. They’ve pulled it off so far but we’re quickly running out of the ability to add more debt so it’ll be either printing money or crash. You say “expect nothing.” If “nothing” is what we get, what happens next? Wild inflation? Complete credit halt? Even China can’t avoid disaster if the western economies, including the US, all crash. Can you give us an idea of what armageddon will look like? I’m invested mostly in gold shares. Should I buy bullion instead, and hire bodyguards? I’m serious, not playing games. Screw it. Just print the damn money. Then see if you can actually produce something worthwhile to pay it off. The Banks call the shots. They lobbied hard against restructuring of Greek debt. They are in too deep to bite that bullet. Politicians were ‘advised’ to embrace the bailout. This is about what’s in the interests of TBTF Banks. To understand the European behind-the-scenes machinations, one need only look to how the puppets in Washington essentially move in unison to Wall Street’s commands. And of course, the perfect storm is being manipulated to enrich the speculators who presently have the Euro under intense pressure, if not attack. Maybe Greece should pass a baklava subsidy. If it works as well as our corn subsidy, the world will soon be awash in baklava. As for the insulin spikes resulting, we’ll deal with that later by dropping the baklava subsidy in favor of a roasted lamb subsidy. What would happen if Greece, Portugal and Spain simply repudiated their debt? They would then have to stop borrowing, and cut government spending,but that’s got to happen someday anyway, and the sooner the better. Holders of the debt would lose. The only reason to worry about that is that European regulatory authories have imprudently allowed their banks to gamble by buying risky EU sovereign debt. So isn’t the answer to let those 3 countries slide, and process some bank bankruptcies in Germany and France if necessary for the financial system? What do China’s super-rich do with their money? Nice to know that decades of foreign aid and the gifting of North America’s manufacturing jobs is working out for them. Financial armageddon is seriously NOT a game. Restructuring the debt would change nothing as far as Greek tax receipts being too small relative to state spending outside of interest payments. So the way out is more taxes, less spending. I wish you would expand on this. Public? Private? Relative to the equivalent US Institutions? Why are they incompentent? The G20 is just as unwieldy as the EU. The Chinese and US are not going to bail out Europe. Question is, if things go very badly in Europe then what effect will this have on the US recovery. If the US is pitched back into the tank, what are the political implications of that? I don’t understand why Greece wasn’t shown the door temporarily from the EU until it was able to get is house in order. If the current bailout manages to go through which I’m beginning to doubt due to political concerns in Germany, this will ultimately set up yet another moral hazard situation without end. Moody’s this morning is taking a closer look at both Portugal as well as Spain. Last month a group of US hedge funds were investigated for collusion in planning short selling assaults on the euro. Having exhausted the developing world, which has largely tossed them out, have the economic hit men finally turned on the developing world? This is not to say that Greece, Portugal, or Spain are without problems or fault. There is a general crisis in many of the developed country’s fiat currencies, including the United States. The rising price of gold and silver, despite the heavy handed manipulation by a few of the banking centers, is a sure sign of a flight from paper controlled by central banks. As the NY based stock tout crowed on Bloomberg this morning, “The US can inflate its way out of this crisis much more easily than can any other country.” Well, it is an advantage to own the printing press, and to control key elements of the global financial system. Too bad the Eurozone folks didn’t let their member states hold onto their printing presses just in case of emergencies. At this point the Elite running the show for the euro seem to be more like deer caught in a car’s headlights. The US will through the back door of the IMF. as it is the member nations that have to fund this group. No doubt, US tax payers will wonder why we’re helping bail out Greece when we have greater problems at home that are not being addressed. “Barbara”: “I don’t understand why Greece wasn’t shown the door temporarily from the EU until it was able to get is house in order.” Why is not California shown the door temporarily from the USA? Ridiculous statement is it not? “If the choice is chaotic global collapse or unsavory financial rescue,which are you going to choose ?”____What Hank Paulson gave us (coincidently – a quite timely synthetic placebo) was an illicit panacea of transient amnesia parsed in druid youthism – this poison pill of faux-naif vulpinism that we swallowed whole! Lastly,I’d like too quote a line,or two from “8 Miles” (Marshall Bruce Mathers III/ Eminem &”Lose Yourself”) “The clocks run out,times up over,Bloah – Snap back to reality,Oh there goes gravity”! (God I love this guy). This guys a voice crying for societies welled-up tears!!! Spread your risk, unless you have a crystal ball. Don’t invest more than 5% of your assets in commodities. When China crashes, all commodities will tank. Focus on asset preservation, don’t chase profits. Put enough away to live on in an emergency for 6-months, including canned goods. The EU is not a sovereign but an association of sovereigns. The EU is not much more than the US Confederation before 1789, a union of sovereignties. The Confederation was terribly weak and the EU is probably too weak to survive. The solution is a sovereign federal union of Europe which is impossible culturally, I should think. Sectional differences in the United States tore it apart and may well do so again. What glue their was in the United States derived from all sections being dominantly Anglo Saxon politically until possibly very recently. It seems rather evident that trends today are towards the ending of Federal Unions or at least their serious weakening. Look at the political weakening evident in the United Kingdom of Great Britain. The sovereign’s of the EU issue their own currency in Euro’s through their central bank. Each Euro bill carries a designation of which state central bank issued the bill. L on a Euro bill denotes it was issued buy the Bank of Greece , if I remember correctly. The unredeemed liability for issued currency is carried on the books of the state central bank. The backing for the unredeemed currency of the state central bank are it’s assets. This is the same methodology of currency managed by the United States Federal Reserve Banks. Globalism by it’s very nature will require strong regional federal unions and the opposite has been happening. More and more there is a return to tribalism associated in weak federations. The first ill wind looks to blow over the EU. If this crisis does not collapse the EMU another surely will in the near future. The EU was a touchy feely globalist thing while most Europeans are as ethnic as they come. The EU survives only if it transforms itself into a strong federal union similarly to The Federal Republic of Germany. The states of the United States , as sovereigns are not responsible for bailing out the debt of other states of the federation as is being attempted here. The current attempt to save the EMU derives from the same practical weakness albeit slickly hidden from view. The crux of the problem is that a strong Hamiltonian federal union might be able to cure the problem. But such a state does not exist. It still boils down to the equivalent of say Wisconsin and Minnesota being required to guarantee the debts of California. >Hank Paulson had a point in September 2008: If the choice is chaotic global collapse or unsavory financial rescue, which are you going to choose? Horse manure! We made the world safe for Wall Street bankers and still had/have a global collapse. Paulson and the boys told us if we didn’t act we’d have a huge drop in the stock market. We had that anyway! We should have nationalized every company that required bailouts. Then we could have denied bonuses and forced those companies to reorganize. I seem to remember Simon saying this either in the book or in an interview. Paulson is the perfect example of the village idiot. Re: @ StatsGuy_____Hmmmm,the Greenback pegged to the Yaun should/could do what? Yeah, and next to the chile, keep a firearm handy. Here’s the link to the full 69 page Societe Generale: “Worst-Case Debt Scenario: Preparing Yourself Against Economic Collapse” (They’re not joking.). One of the problems in Europe is that many people obtained mortgages in foreign currency. Iceland is a good example. These people’s mortgage payments have now skyrocketed. If any of the PIIGS repudiate their debt, I would imagine Germany and the other strong economies demanding their immediate departure from the euro zone. Their local currency would precipitously drop in value, okay for people who buy/live locally, but nasty for those tied into other currencies. Not actually. The idea was floated by several EU members. Why will China crash? You are thinking wishfully. China is rapidly becoming the world’s top economic, not to mention military, power. They are locking-up important minerals that the rest of the world needs. See my blog post “The coming USA-China war” (http://saucymugwump.blogspot.com/2009/11/coming-usa-china-war.html) and the many updates for more details. Re: @ Wyndtunnel____”The Eqailizer”,such is the wonderful dish of cyclicality fomented by gravity? You forgot this Black Swan. Temporarily or permanently? I’ve read of plenty of people wanting to permanently eject Greece from the euro zone and possibly from the EU, but I have yet to read anything about a temporary solution. Who would define the conditions under which Greece would be allowed to return? And why would the remaining countries allow a lying government back in? Do you have any URLs for this proposition? Sovereigns, hah! Just wait until California has a monster earthquake. The federal government will give it trillions to rebuild and the other states will pay for it in taxes. The Orange County tea baggers will not be marching in the streets to halt that bailout. When China Crashes, all commoddities will tank. YES OK. Create alternating runs on both currencies. Misalignment of fiscal/monetary borders is disastrous. LatAm borrowing in dollars in the 1970s/80s. Why would California not expect aid after having constitutionally delegated certain sovereign characteristic’s on joining the United States of America? If a sovereign characteristic of power is delegated, the responsibilities that went with the delegation go with it. Are States of the United States of America now only provinces? Personally, I think so, since the change to direct election of Senators a century ago. Of course, direct election of Senators had long been senile in and of itself. The legislatures ratifying the change converted sovereign states into a lost limbohood between sovereignties and provinces. The states united into the United States of America through their legislatures assembled have no representation in their own union. Those reserves consist of fiat money printed by the ‘blue-eyed devils’ of the West. They can especially savor those Euros as they continue to fall in value. Secondly, having grown up in a democratic country you seem to have forgotten that nation-states also have armies and the ability to change laws as they see fit. “Expropriation” can take care of a lot more than all the bankers in the world can dish out. I agree the G20 involving itself in restructuring of loans (frauds) over the last ten years. Perhaps the int’l criminal court needs to consider crime and punishment for credit deals, both the banks intending to deceive and the politicians involved the same. Unsavory financial rescue involves more moral hazard of lenders and investment banks. Look, it’s video of a voter from Greece, spent the last 11 years in a patio chair watching foreign tourists walk by. Now he’s upset. Do we really know how invested American banks are with the European bankrupt nations? Everytime the IMF gets involved in restructuring sovereign debt, the US taxpayers are also on the hook for big bucks. The prevailing notion is that the Euro crisis will not pose a substantial threat to the American economy. But can we really be sure about that? Barbara: Floated by interpretation of what “EU members” means, seen from USA. You are obviously unawares of the existing EU constitution. There is no way out. Thanks Jerry for the try. What I come away with is that the ECB is a facade because the “unredeemed liability for issued currency” is not carried on its books – its carried on the books of members’ central banks. In contrast the FED carries virtually all, if not all (any US notes still in circulation?) unredeemed liability for issued dollars. Does the ECB issue debt? I wrote something a bit like this, and tried to publish it three times, but no luck. Our American, and some of our English friends, have little idea of what the EU is. It’s is built on a need-to-build basis. The EU is not going to disappear, because it is an union built out of 1,000 years of war and mess, and the anxiety not to repeat it. This crisis just show more European construction needs to be pushed. And you know what? This is strictly a Franco-German problem. Sarkozy may not be the best for this, and a more steady hand may be needed at the helm. Sarkozy should not have tried to go it alone with the Mediterranean Union, in a way that upset the entire Franco-German understanding. So what happens when this “entitled aristocracy” has bought off our elected officials and controls our media? Does the EU issue debt? Could it consolidate Greece’s debt and issue Greek recovery bonds? Each Federal Reserve Bank issues it’s own currency based on it’s asset holdings. The issued currency liability is recorded by each FRB on it’s own books. One of the assets backing the currency at the FRB level are Gold Certificates valued at $42.35 an ounce. The Federal Reserve Board has no assets of a banking nature itself and issues no currency of it’s own. The ECB is an umbrella central bank with banking assets to act as a manager of the Euro system. Thus they do a lot of repos and reverse repos with the state central banks. The unredeemed liability for currency is really a capital contribution on any FRB or central bank since it will never be ” paid off”. There would be no currency outstanding if they called in the currency. Before 1913, the US had ten kinds of currency and specie. It took until 1980 for the FRB’s to grow and absorb the directly issued currencies of the United States. If the currency were called in, it would need to be replaced. Over the years after 1913, United States Notes were returned to the Treasury and the FRB’s replaced the United States Notes and National Currency. This was done only as fast as the asset base of the FRB’s could build. That is, as fast as the FRB could buy and hold Treasuries and also redeem US notes out of earnings repatriated to the Treasury. When a US Note was redeemed it was charged against the Treasury Deposit Liability Account to the extent that the same account was credited for interest or profits on Federal Reserve Notes. The key point here is that the European States still issue currency directly traceable to their state central banks. The current Greek bailout if it were in the US and the US had the EU system would be that the central banks of Wisconsin and Minnesota ,if they existed, would force their banks to buy the state debt of California. The fate of the Euro money system depends now on state banks guaranteeing the bonds of other states within the Euro system. American states are not that far behind the PIIGS of Europe. The Federal Reserve System will also be forced to guarantee the state bonds of US states and their subdivisions on some basis akin to what happens in Europe. If not, at some point Phhhhttttt to the US state financing system too. The next few weeks will be very informative to say the least. I’ve wrestled with this one for a long time in a different scenario. I concluded given a choice, to choose a short good time rather than a long miserable time. Freddie Mac Chief Executive Officer Charles E. Haldeman, Jr. I would agree if the miserable times were the same. But, I don’t think they are. If this were the S&L crisis in the 90’s we could paper it over, moral hazard involved. This time we can’t. Therefore, I think this is a false choice based on not assessing the type of misery. I see the misery being far greater taking out seconds with global banks. I see it far worse because of this bull market. We needed a purge and delevering. We didn’t get it to protect the asset class. The protection is fake, it’s tipping point debt. Patrice, Greece lied and cheated it’s way in. It has disrupted the tranquility of the EU. The EU is breaking all kinds of rules to appease them. Of course there is a way out. Give them the boot. Once Greece defaults, banks and governments can take Greece to court and garnishee their revenue streams or take over title to their properties. Any attempt by an EU government to run interference will lead to a swift change in that country’s government. Leaving the EU is not a legal matter. Leaving the EU is a political matter. A few changes of government and the rules are clarified and the deed is done. Re: @ Anonymous_____Ah yes,…live for the moment,maybe tommorrow the good lord comes to take you away! Yea baby,…and no one knows if the moment is a day or a hundred years. Fabulous! I agree, and this latest crisis has significant potential to completely wreck the extremely fragile global economic ‘recovery.’ Things can happen with frightening speed when it comes to the markets. Unfortunately, most people would rather not prepare for the worst and simply hope for the best. I fear that what we are living through, in hindsight might defined as, the best of times. Surreal. More grief for the taxpayer and more insanity. Just to clarify a bit, Euros are issued by the Eurosystem just as Federal Reserve Notes are issued by the Federal Reserve System. The notes actually are issued by component Federal Reserve Banks and you can see the individual currency liabilities in the US system. I sometimes look at the Eurosystem Consolidated Balance Sheet which was showing around E750 bn of issued currency liability and Gold and Gold Receivable assets of around E240 bn. They do not disclose the separate central banks consolidated into the Eurosystem. Does anyone know how to look at the individual banks consolidated into the Eurosystem Balance Sheet? The US Federal Reserve Board issues a weekly consolidation of all Federal Reserve Banks with consolidating detail. Oddly, state gold holdings can be found listed by state elsewhere. Wikipedia. The essential point of comparison to the US system is that the Federal Reserve Banks are controlled by a single polity, the United States of America, while the Eurosystem must share polity with member sovereigns. That must be a very difficult source of weakness in adversity as at present. The crux here is that Greece wants a ” Jamie Deal”. 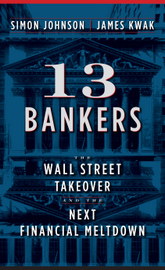 As we now know, at the heart of the US crisis in September 2008, the other big banks all wanted ” Jamie Deal’s” too. Are the European pols stuck and cannot avoid a financial collapse without political heat they cannot survive? Are Europe’s leaders losing control of the debt crisis? Some economists are questioning whether European leaders are losing control in their attempts to contain the crisis. SCAD’s, wars for resource grabs & profits, and plenty of corporate welfare. Elimination of anything more than a regulatory facade, allowing the “entitled aristocracy” and the corporations they control to run amok. Axel Weber is currently the President of the Bundesbank and Jean Claude Trichet the President of the ECB. In 2011 Weber may be the head of the ECB, but its not a done deal yet. I’ve got the ECB’s de-facto Chief Economist, Dr. Jurgen Stark is Asia next month, hopefully he’ll be able to address some of the issues Simon and the numerous posters have raised. Dr. James Bullard will be responding on behalf of the Federal Reserve – could be an interesting gathering in Tokyo and Hong Kong!!! Control? Too late. This virus has mutated and has a life of its own. The hope of an organic recovery at the cost of socializing losses, privatizing profits have vanished into the world of ‘counter-party’ risk taking. The window of opportunity was missed while the political beasts howled socialism at the prospect of the over-lords owning up to the misdeeds, with temporary nationalization and then breaking up of the TBTF institutions and putting them back into the public sector with their weedy/greedy growth properly and cleanly hoed out. Now the food doesn’t have a chance to grow and will be choked out and die. The US missed its opportunity to show true leadership as a world power and the land of the free and the brave. No bravery here, only self-interest that is the virulent pox on us all. Simon Johnson is right, expect nothing. The people will be hobbled by the trillions of excrement while responsibility and clear laws are totally skirted. History is a fine teacher of what comes next only this time, I fear, the consequences will be far, far more dire. There is really only one solution. The United Nations must declare a universal wealth tax, on all accumulated wealth above a certain figure, say $1 million. It could be a graduated tax, but it will have to be very stiff. In effect all those with assets of $1 billion or more should be paying at least 70%. The money should then go into a bailout fund and be paid out in grants (NOT loans) to all too-big-to-fail institutions (both businesses and governments). The UN can then hire every college graduate in the world without a job as investigators and police to make sure the tax is assessed fairly and is actually PAID. Ignorant yank bias opinion? Which post are you singling out exactly? And how is an ignorant yank’s opinion different from that of a limey? Please educate us. Re: @ Pylon Yank___Pylon,…it’s “Slimy Limey’s”! Righteo–I think you got it awfully good. I say, bloody good, old chap. My recollection is that Europe was well on its way to “unification” until Napoleon’s disastrous overreach to Russin in 1812. Something similar happened when Herr Hitler looked east. Dictators do a great job of unifying disparate nations through the simple expedient of killing everyone more or less equally. All of the elements of “the former Yugoslavia” and “the former Soviet Union” were held together that way. It actually works. Only problem is all those bodies. If you truly want all debt issuance controlled by Frankfurt, just click your jackboot heels together and say, “There’s no place like Das Reich; There’s no place like Das…”. The EU fills a deep seated need for stability in Europe. The EU represents political and economic cooperation, the Euro fills out the trinity with a unified monetary union. Both the EU and the EMU have a great deal of support at all levels of European society. Having prospered for decades within the EU there is a willingness to make every reasonable effort to make the system work. I do not see the EU or the EMU breaking up any time soon. I do see the systems evolving over time to meet each new crisis as they arise.